A few weeks ago, Apple announced their most hated electronics device: the Fourth generation MacBook Pro with Touch Bar and Touch ID. With all the hate the device has gotten from the general public and all media outlets, it was easy to assume that the laptop was not going to sell many units. But the opposite is what really happening, according to new report by Slice Intelligence. 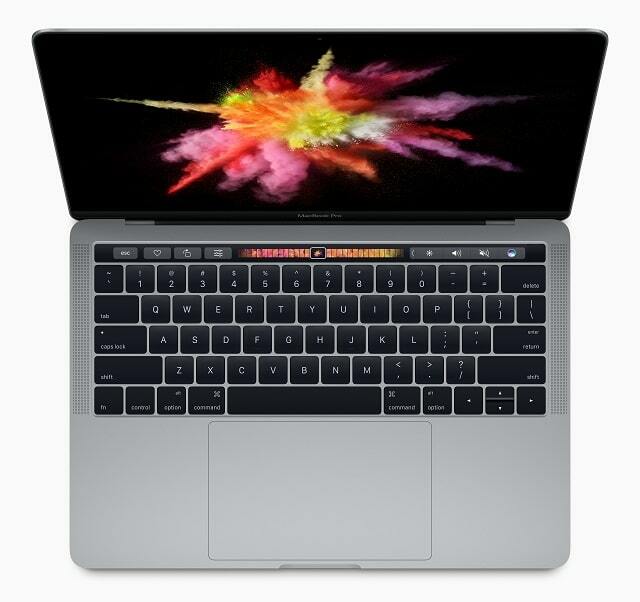 According to the report, the MacBook Pro within its fist five days of availability generated over seven times more revenue than what the MacBook 12-inch did back its April 2015 launch. 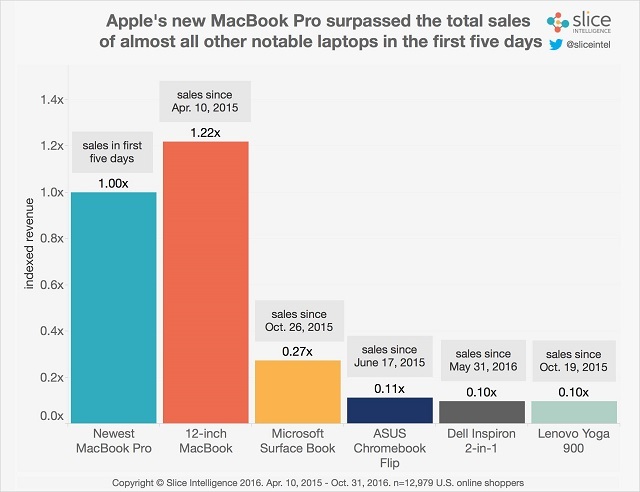 The new MacBoo Pro has also generated 78 percent of all sales generated by the 12-inch MacBook since April 2015. Another interesting fact the report reveals is that the most-hated Apple laptop have accumulated more revenue than any other Windows-based laptop released this year. The report also informs that 40 percent of buyers who bought an Apple laptop in 2014 defected to another brand, most defecting to Dell and Asus computers. Data from the report also reveals that 81 percent of MacBook Pro buyers are men, and 19 percent women – data very similar as Apple Watch buyer.